Whether you are a seasoned festival goer or a newbie, take a peek at our tips for making the most of ACL Festival with your kids in tow. 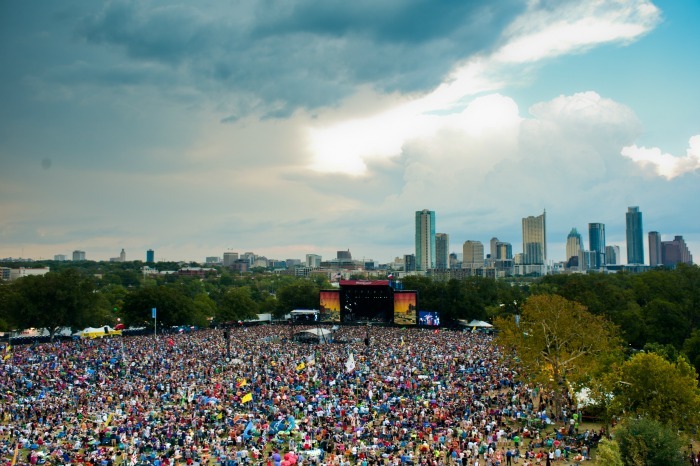 Head over here to read tips from several pro parents, who have taken their kids to ACL Festival many times. Here is the official list of what you can and can’t bring. Sunscreen (yes, we are moms!) Note: Do keep in mind that aerosol sunscreen is not permitted. You’ll need to leave your pets, food (usually you can bring in some kids’ snacks), coolers and large umbrellas at home. If you haven’t been to ACL before, there are two entrances: one on Barton Springs and one on Stratford Drive (towards the northwest corner of the park). If there is any way to have someone drop you off and pick you up, that is the best option. The passenger drop-off area is at the north end of the Mopac (Loop 1) Pedestrian Bridge on Stephen F. Austin Drive next to Austin High School. The pedestrian footbridge runs underneath Mopac. This is the closest drop point to the Festival grounds. It is a short walk across the footbridge. Access the drop off point by entering Stephen F. Austin Drive, near Austin High, from the East. This is the only official drop off point. If not, now’s the time to find that friend who lives within three miles of Zilker who will let you park in his/her driveway or make your plans to take the shuttle. If you can’t bum a ride, starting at 10:00am and ending at 11:00pm each day of the Festival, Capital Metro provides FREE shuttle service to and from Republic Square on 4th and Guadalupe.Do keep in mind that the lines are long if you wait to leave when the headliners finish. Bike racks are available at each of the Festival Entrance gates, with plenty of lighting. The friends I talked to said this was a really nice and easy option. You do need to make sure you bring your own lock. Passholders are allowed to enter and exit the festival as needed up to 5 times per day. You must be scanned upon exit at the gate in order to re-enter that same day. If your childcare fell through or you think your kids are old enough to do it, children 10 years-old and younger will be admitted free of charge with a ticket-holding adult. If you do bring kids, take advantage of the free Tag-a-Kid service. 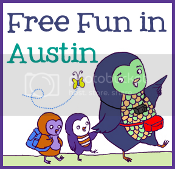 When you arrive at Zilker Park, sop by the Tag-a-Kid booth where we will take down your contact information and give your child a specially numbered wristband. Should the two of you get separated, we’ll have a way to reconnect you. 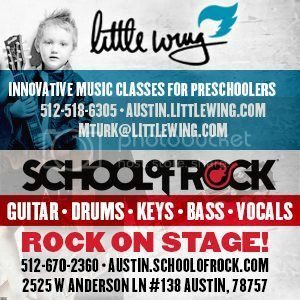 Even if you haven’t been with kids before, you probably already know that ACL has you covered with Austin Kiddie Limits. There is a ton to entertain kids of all ages. One mom friend recommended setting up camp in the sand volleyball courts, as it’s a great central location, close to three stages and the food.